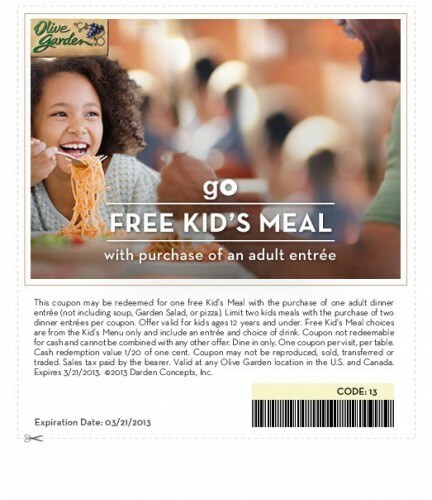 Olive Garden ~ One Free Kids Meal with Adult Entree Purchase Through March 21st! You are here: Home / Deals, Giveaways and Special Offers / Deals / Olive Garden ~ One Free Kids Meal with Adult Entree Purchase Through March 21st! 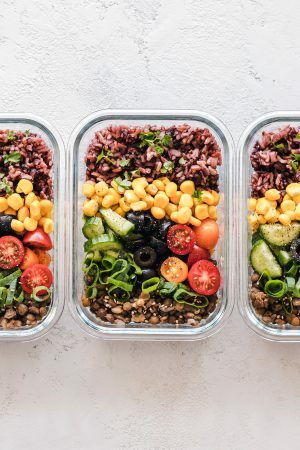 Looking for a place to have lunch today? Why not stop by Olive Garden with the kids and get their meal for free! Now through March 21st, you get one free kids meal when you purchase an adult entree. Limit two adult entrees and two free kids meals. You will need to present this coupon, so be sure to print it before you go. This is for dine in customers only. And the kids meals are for kids 12 and under.